I gave a talk on PHOWN at the Plettenberg Bay Bird Club on 12 March. 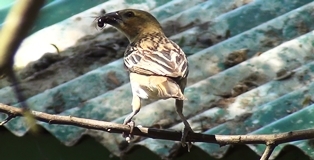 Prior to the talk I visited the Birds of Eden aviary and was surprised to find Chestnut Weavers actively breeding. This species is usually found in arid areas. 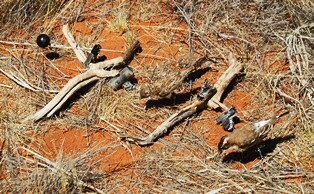 Males were displaying and building, and females were feeding chicks. The nests looked different to their normal nests, due to different nest material being available. A PHOWN record, with more photos, may be viewed here. Photo below: female manipulating insect before flying to her nest with chicks. 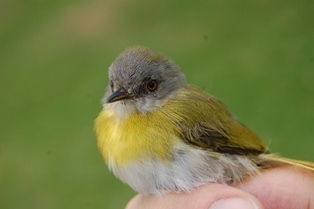 This was followed by two days of ringing at Landela with Mike Ford and Albert Schultz. 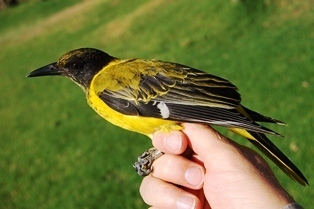 Two unringed Dark-backed Weavers were caught - I had hoped for some recaptures from 2004 or 2005 (see here) which would have provided a new longevity record for the specis in the wild (read about the current longevity record here. Some great captures were (photos below, L to R, top to bottom): Dark-backed Weaver, Forest Buzzard, Yellow-throated Wood Warbler, Yellow-breasted Apalis, male Cape Rock Thrush, juvenile Black-headed Oriole. There were several talks relating to weavers. 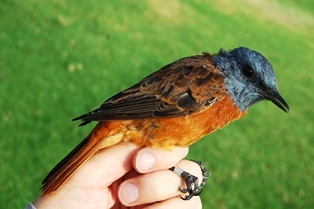 Prof. Andrew McKechnie - Taking the heat: climate change and desert birds. Andrew's talk included Ben Smit's work on White-browed Sparrow-weavers (on hot days, ie over 36C, birds had to replace up to 60% of their mass in water loss). Dr Rowan Martin - Keeping cool in a warming world: how might patterns of landscape use buffer the effects of climate change for desert birds? Rowan used models of White-browed Sparrow-weavers, Sociable Weavers and Scaly-feathered Finches showing that the thermal landscape is species specific. Tanja van de Ven - Phenotypic plasticity of metabolic rate in an Afrotropical bird species. 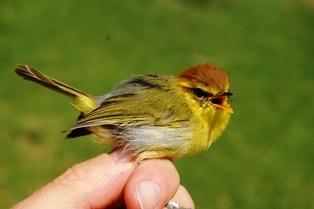 Tanya studied Southern Red Bishops at coastal and inland sites, showing the seasonal plasticity in mass, basal metabolic rate and summit metabolic rate. David Allan - Subspecies of Southern African Birds: The wisedom of the ancients or 'voodoo' ornithology? 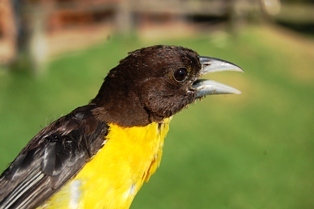 David showed examples of the field guide on geographic variation to be published in mid 2012, and included two subspecies of the Cape Weaver. Dr Dieter Oschadleus - Dial in to PHOWN (Photos of Weaver Nests), a monitoring project. Read more about weaver research at Tswalu here . 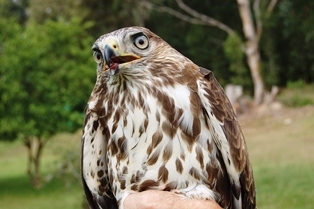 Ringing at Cape Recife - unfortunately this had to be cancelled due to rain and strong wind. Thanks Eugene and Renee for permission to ring at Landela, and to PERC (UCT) for funding this trip.